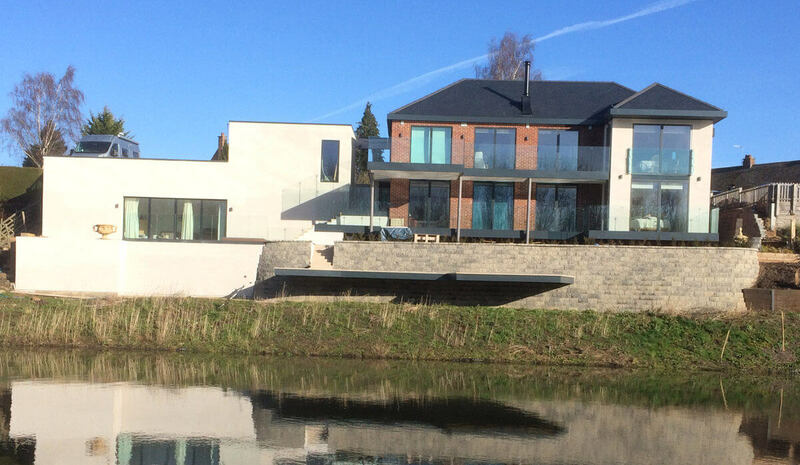 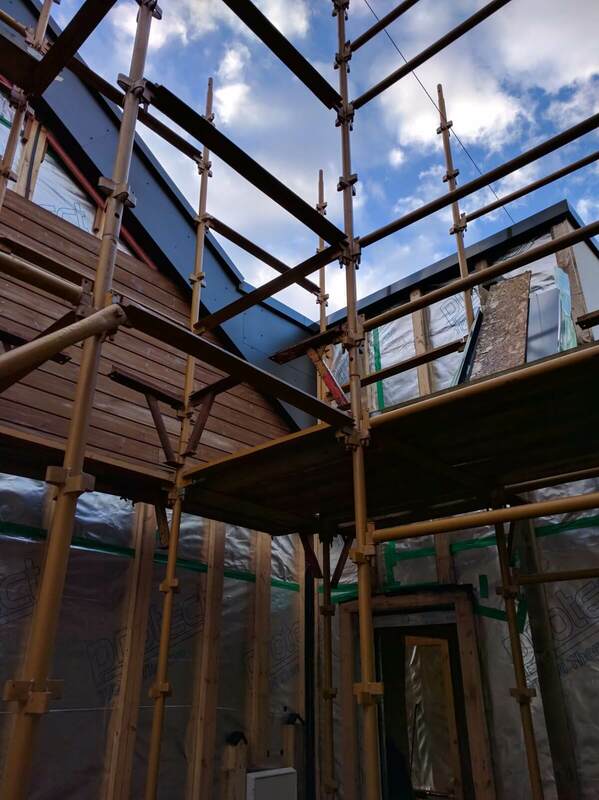 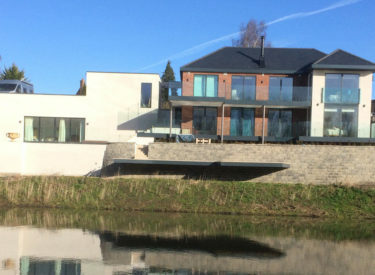 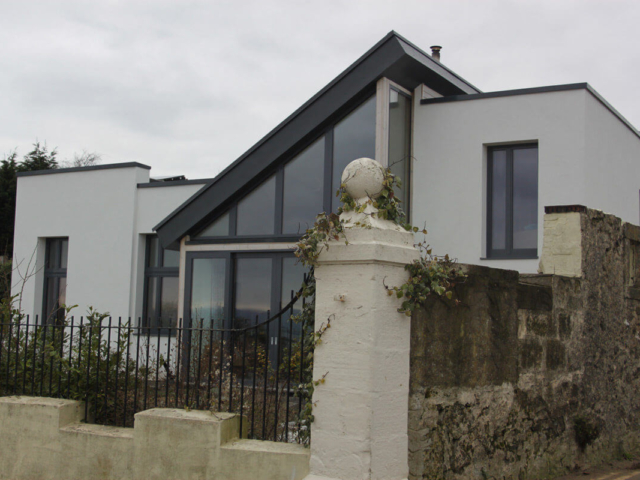 In 2015, ACA were approached by a private client, and their current architect, requesting assistance with their Self Build dream project. 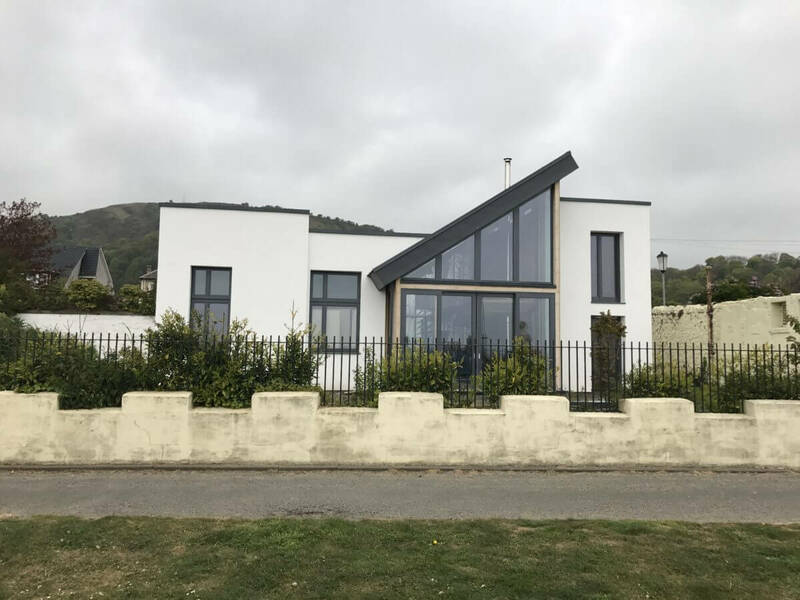 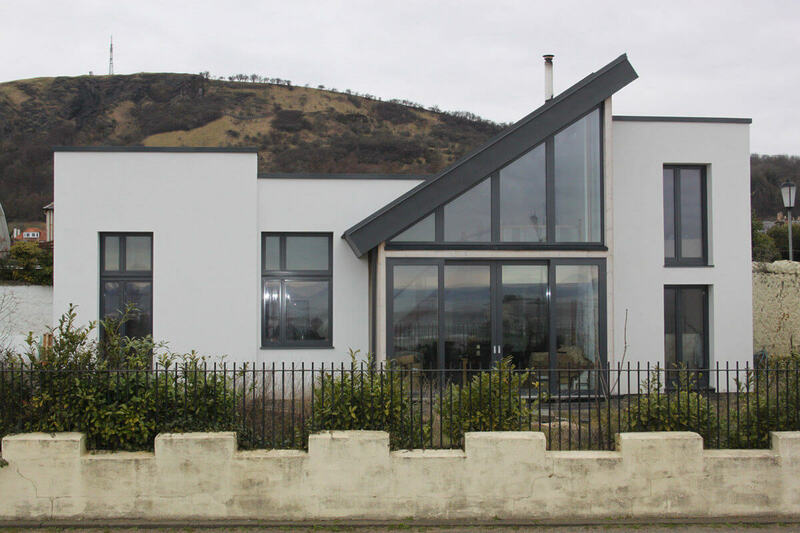 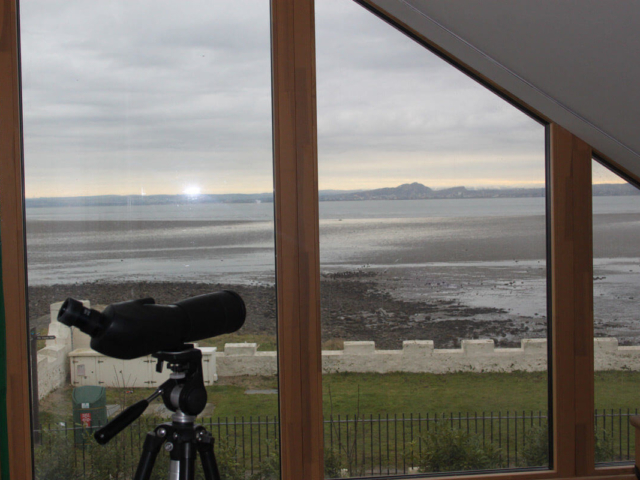 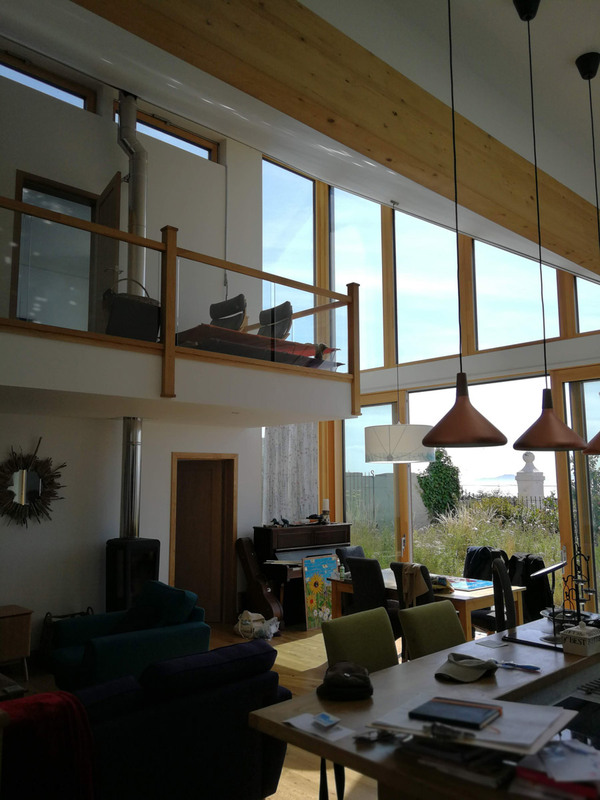 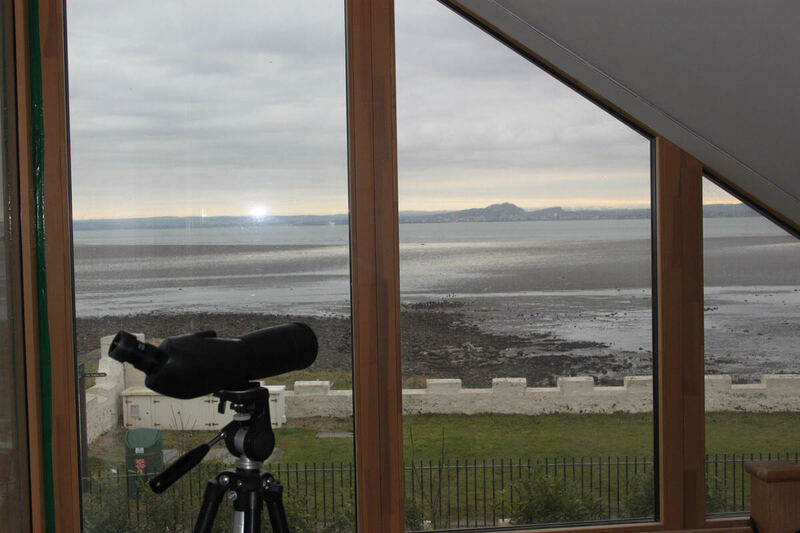 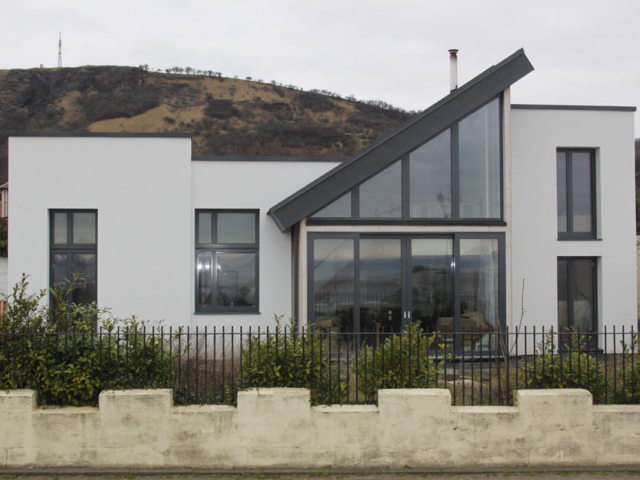 This contemporary eco house was designed to be built on Burntisland’s beach front, next to the family’s current home. 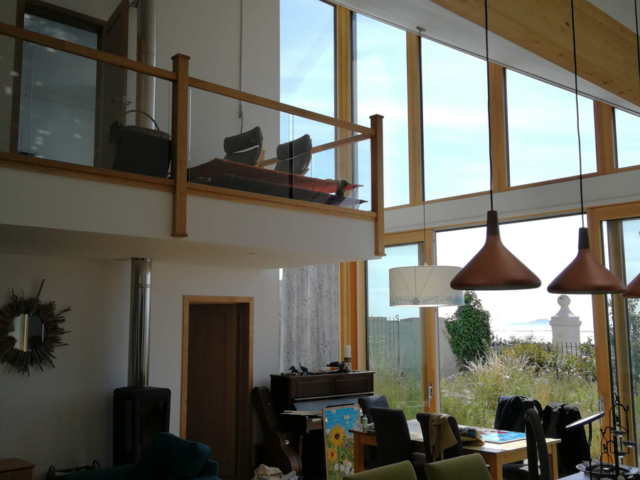 Richard Atkins RIBA, FRIAS, FRSA and the former Chair of the Scottish Ecological Design Association was responsible for the design of a project, from the concept through to gaining planning consent. 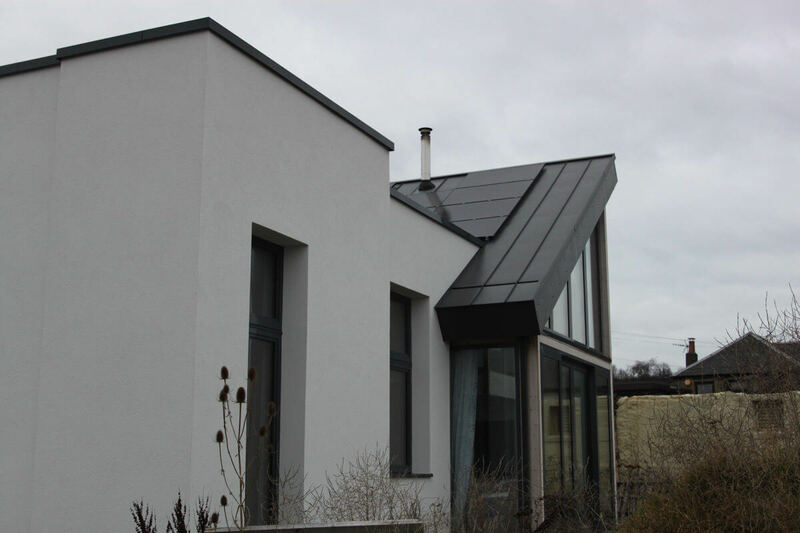 He is still working on the project as an energy advisor and is responsible for developing the energy strategy for the property. 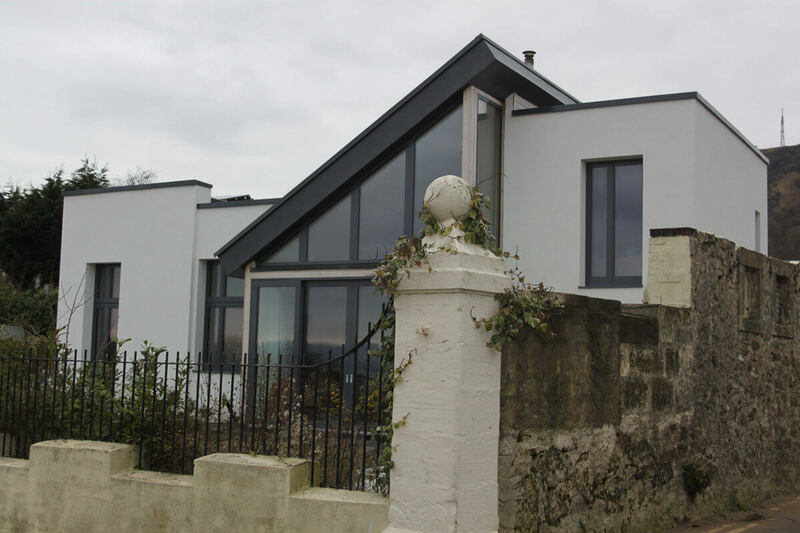 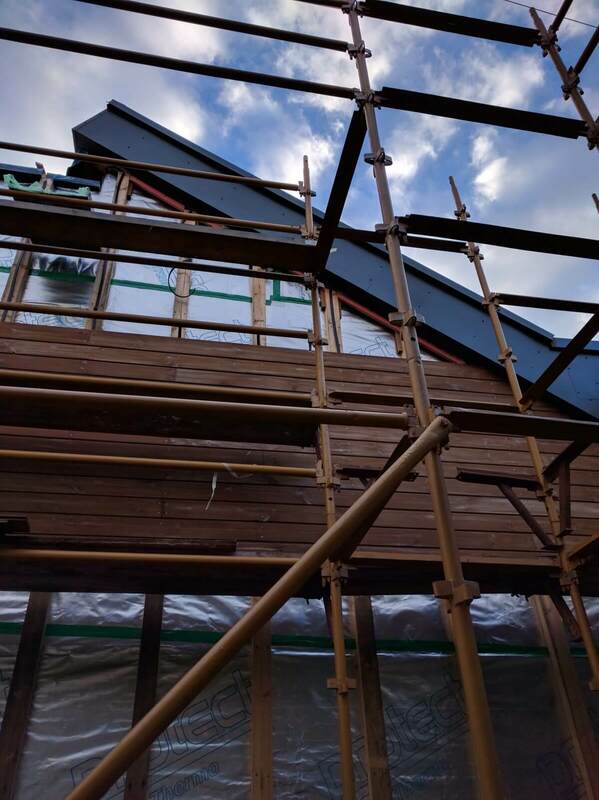 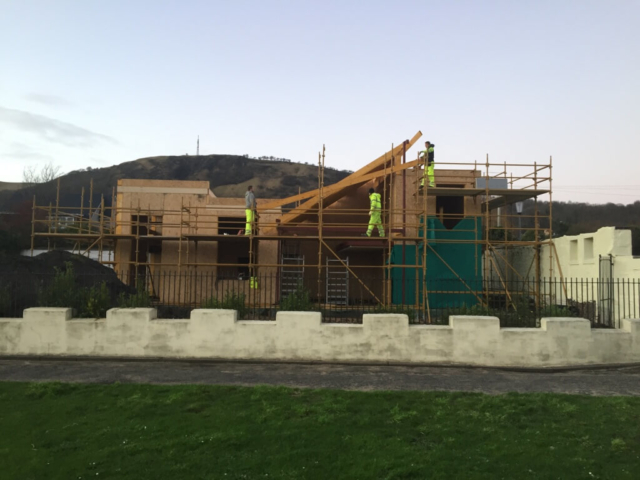 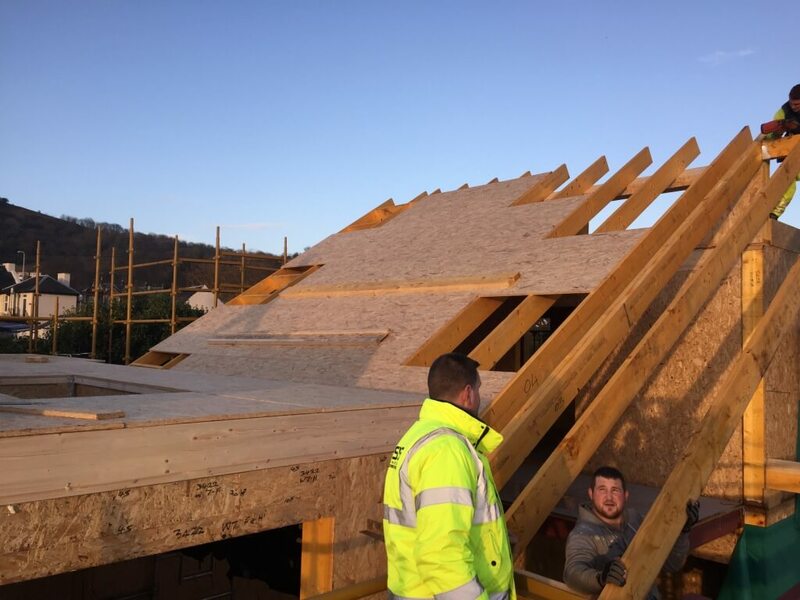 Having identified SIPs as the preferred method of construction AC Architects were chosen as the ideal practice to take the project on: completing the detailed design, building warrant and then fruition. 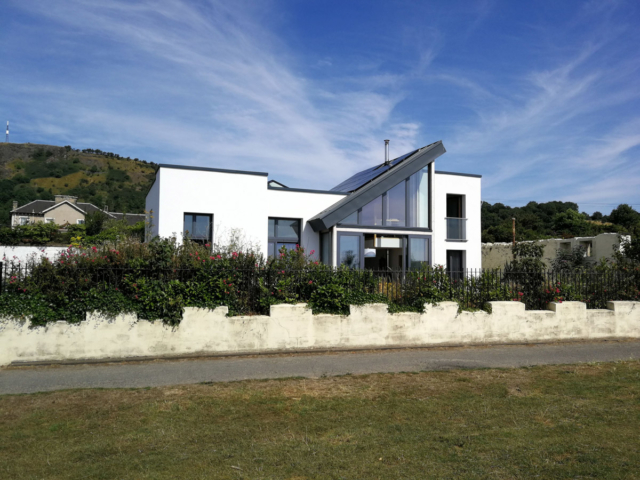 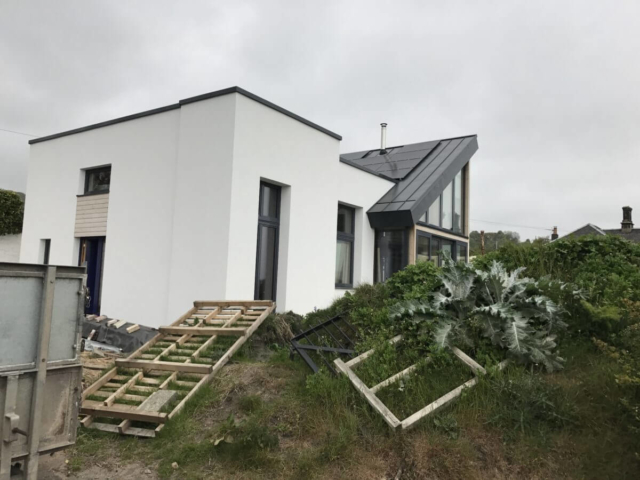 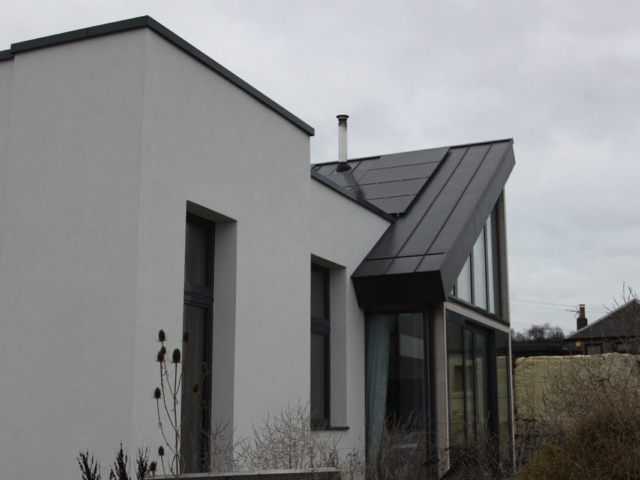 The eco-house was initially designed to Passivhaus design principles, with low heating demands, minimum energy use, and high thermal performance. 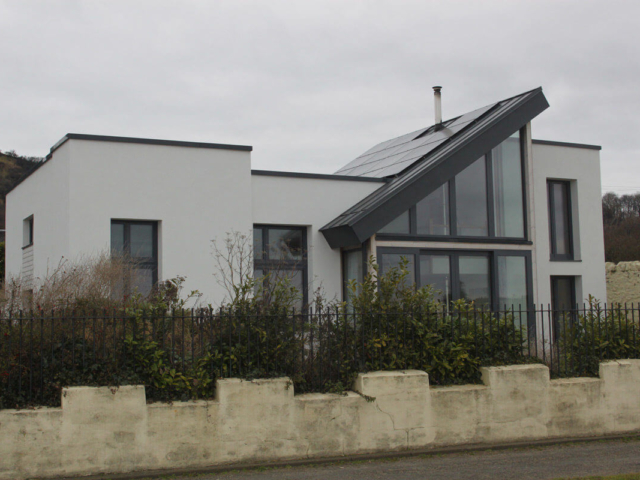 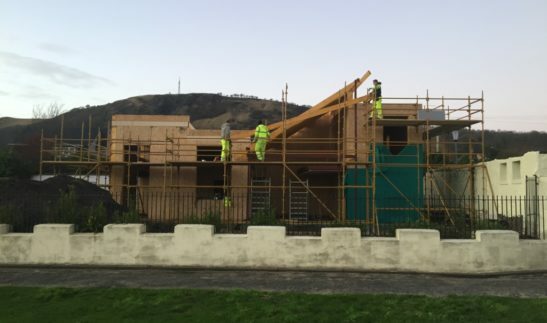 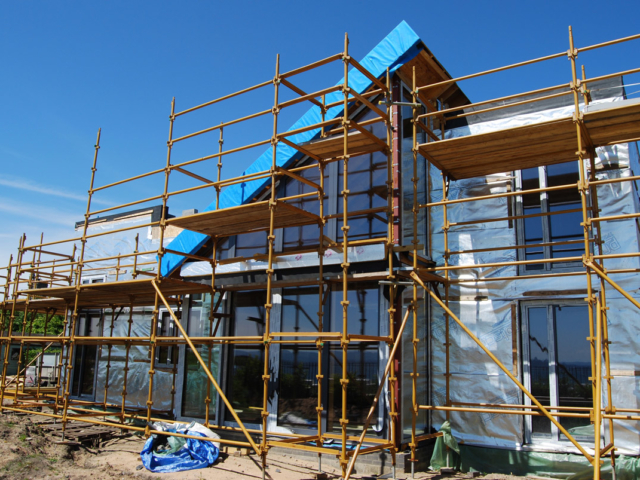 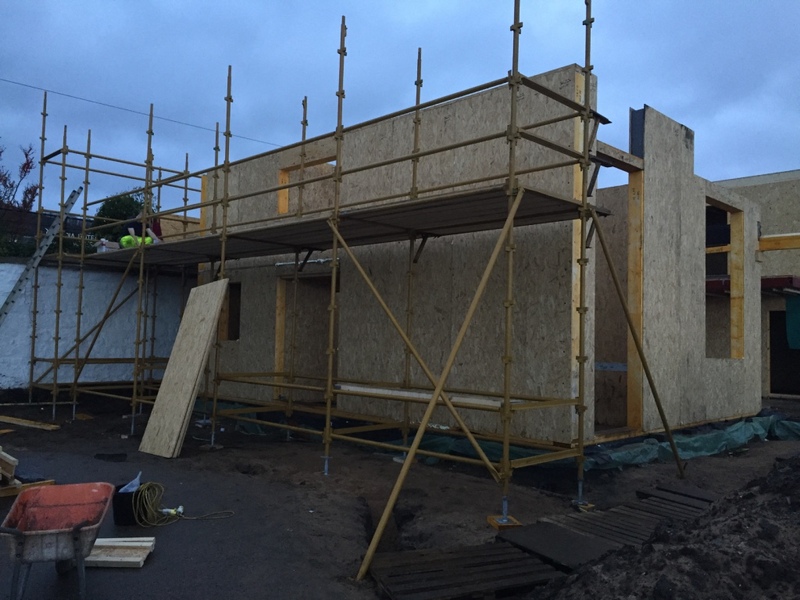 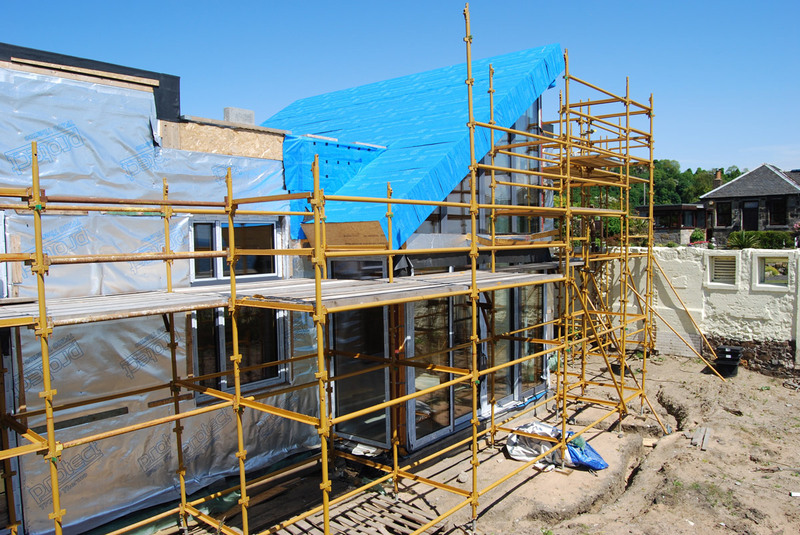 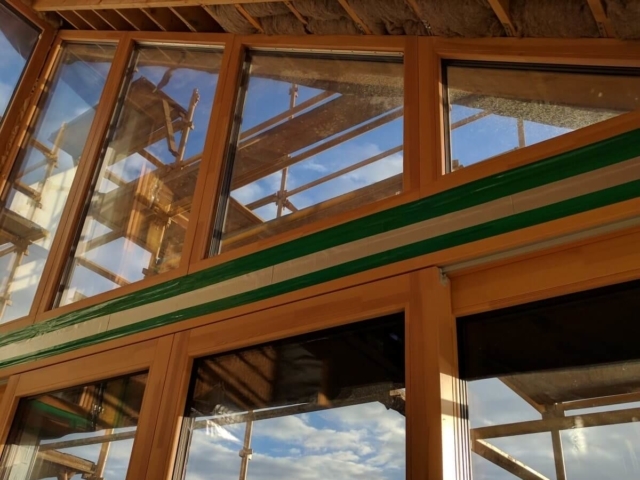 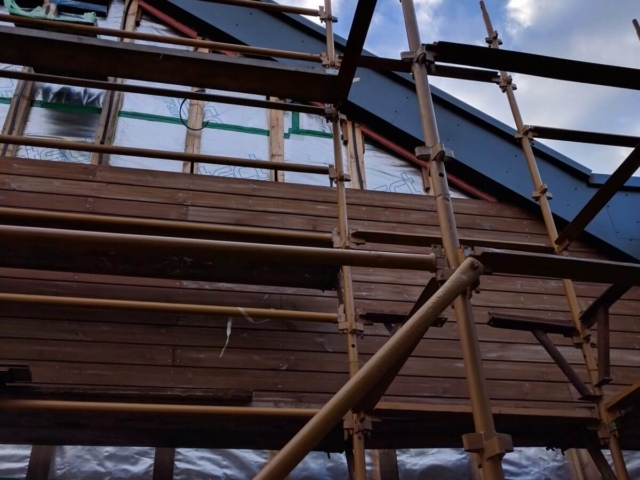 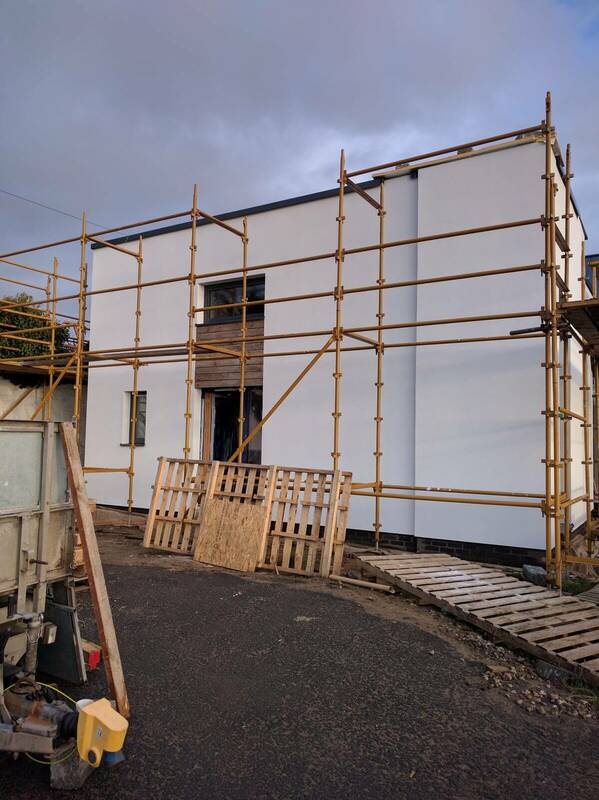 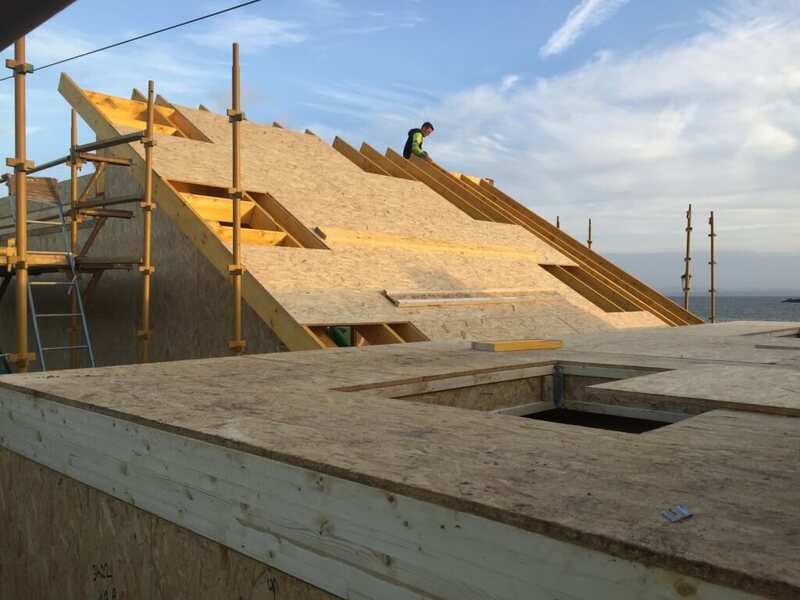 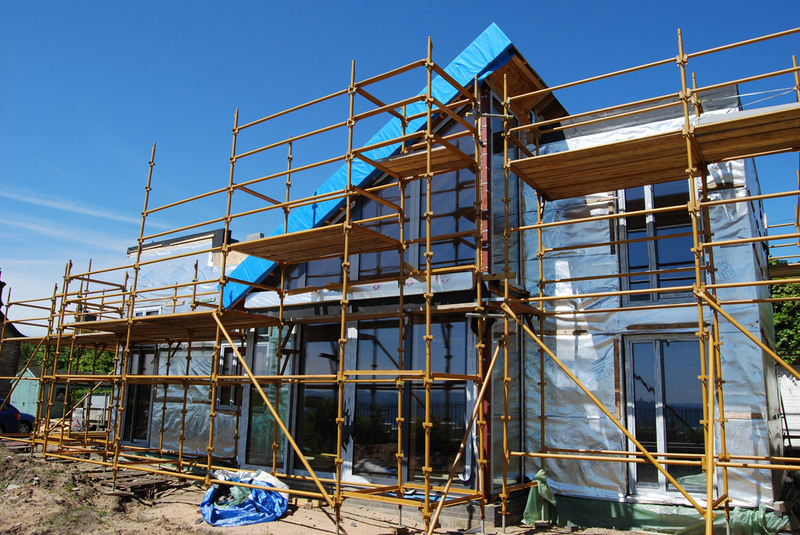 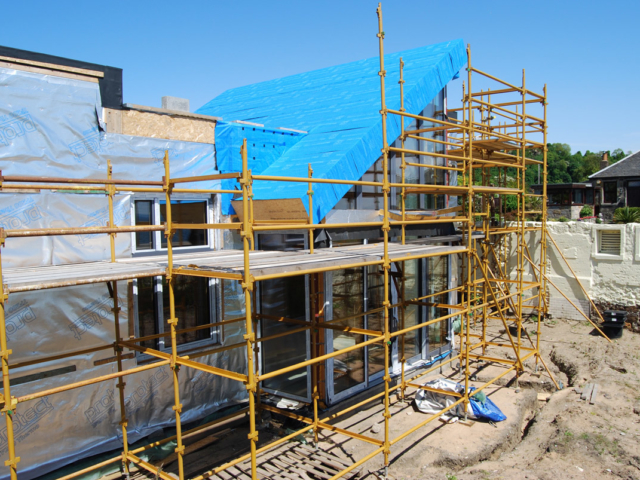 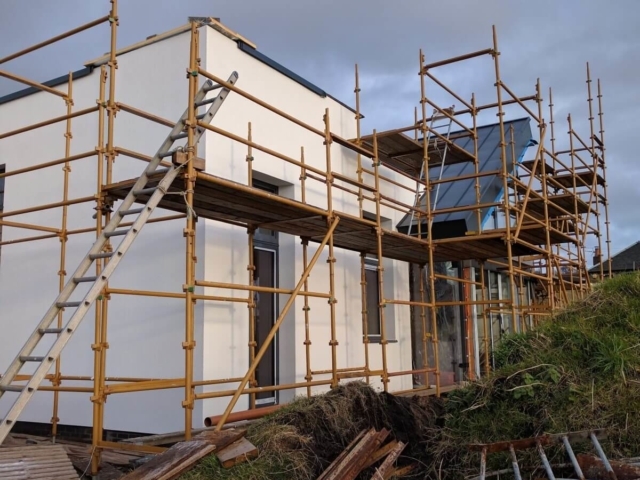 SIPs construction was chosen for its ease of airtightness and high insulating properties. 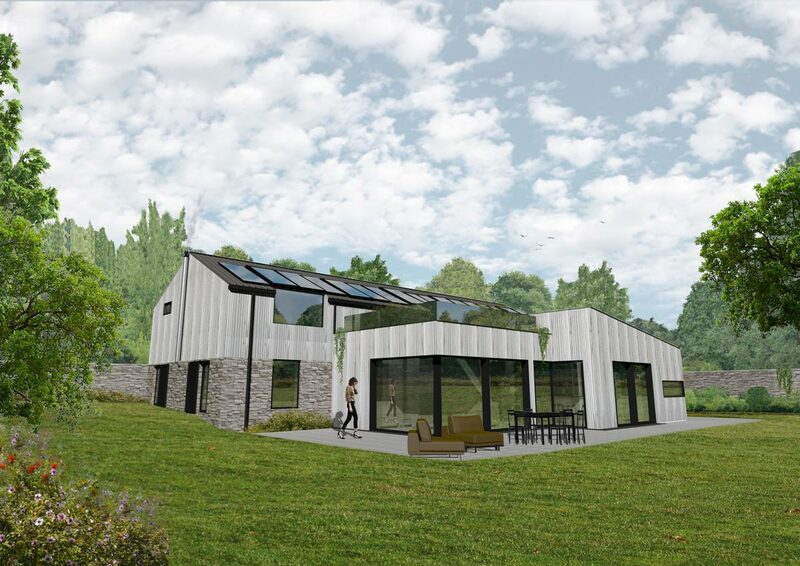 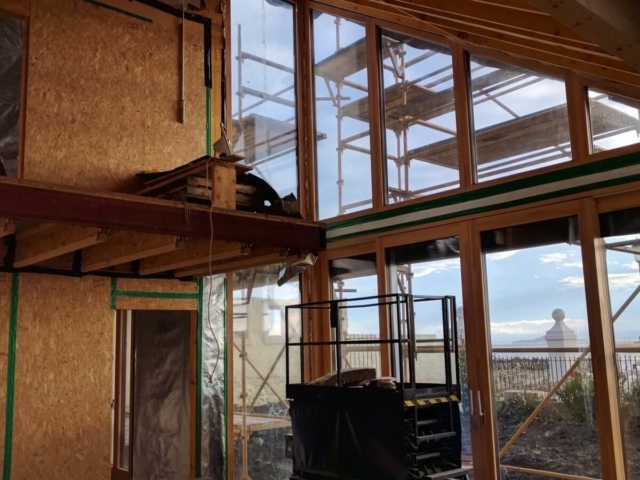 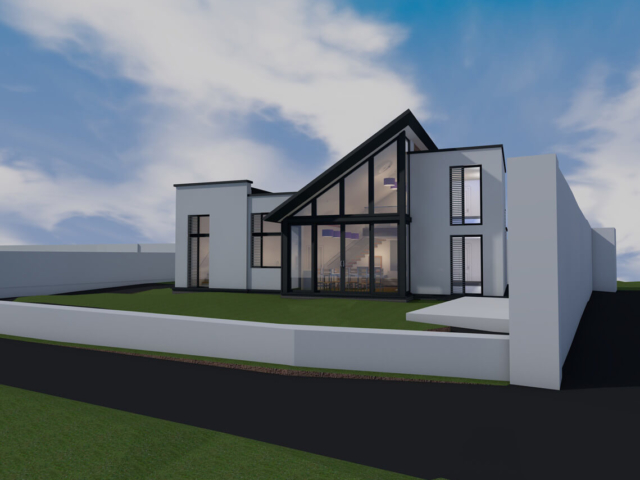 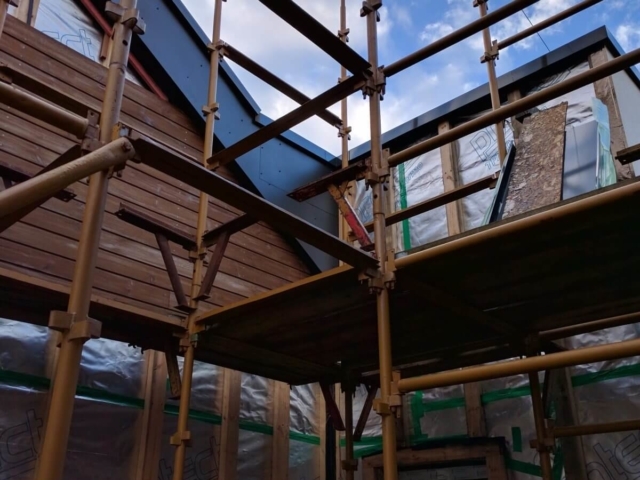 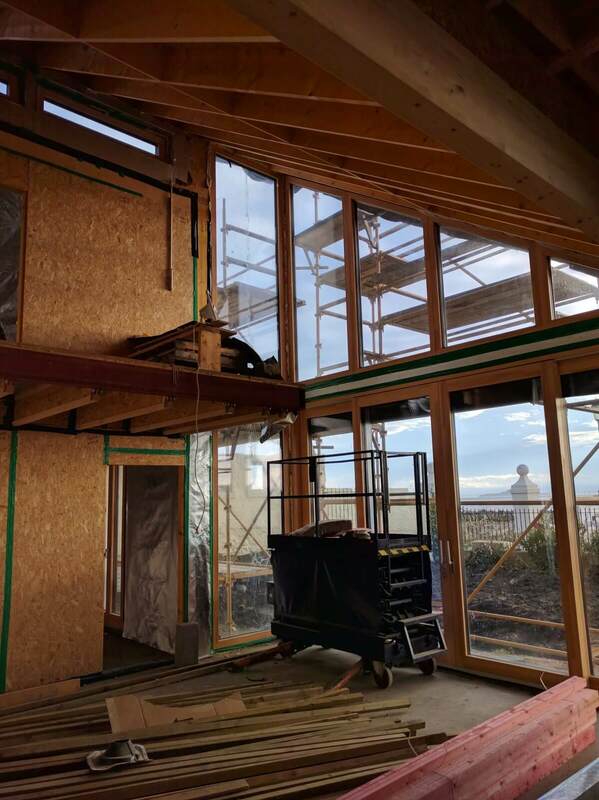 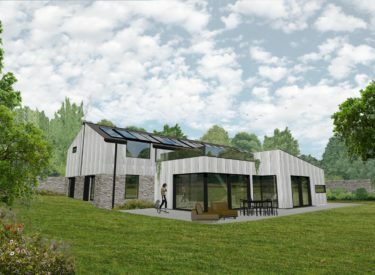 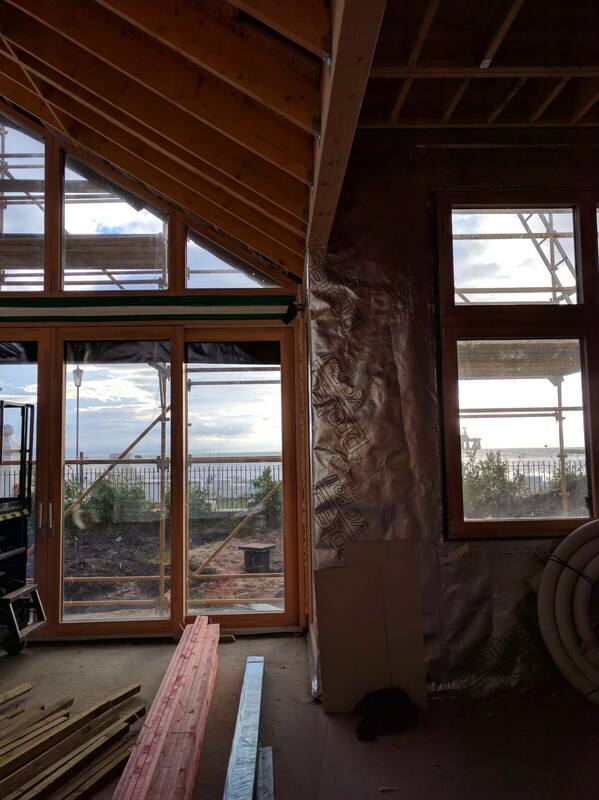 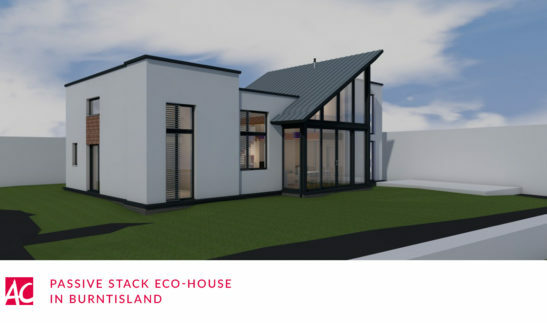 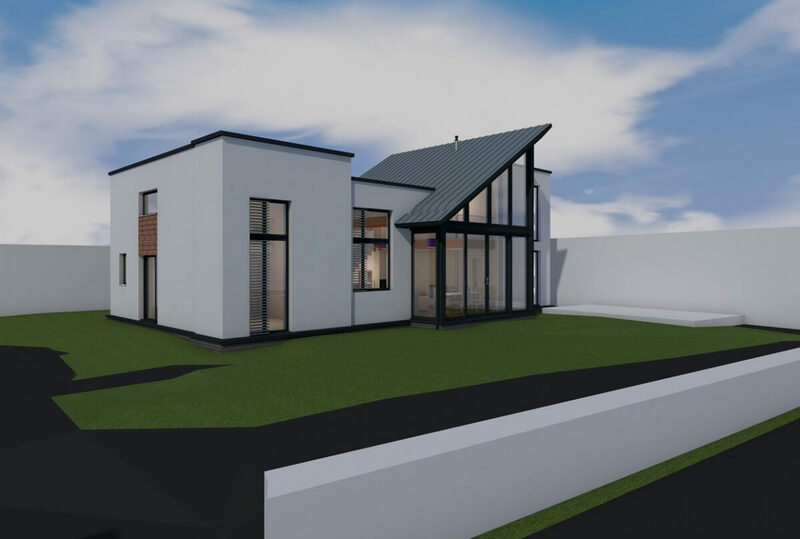 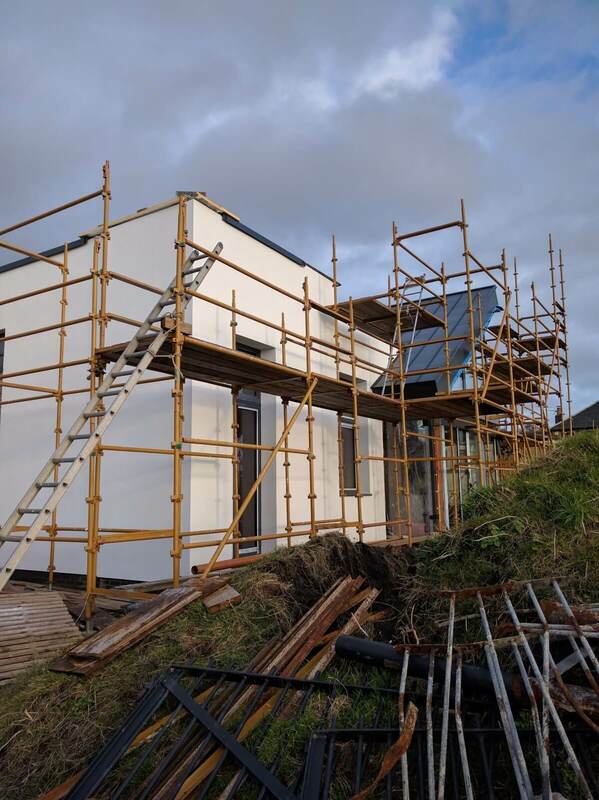 The storey-and-a-half eco home is set around a central room which features kitchen, dining, and living areas – all with a double height mezzanine floor above. 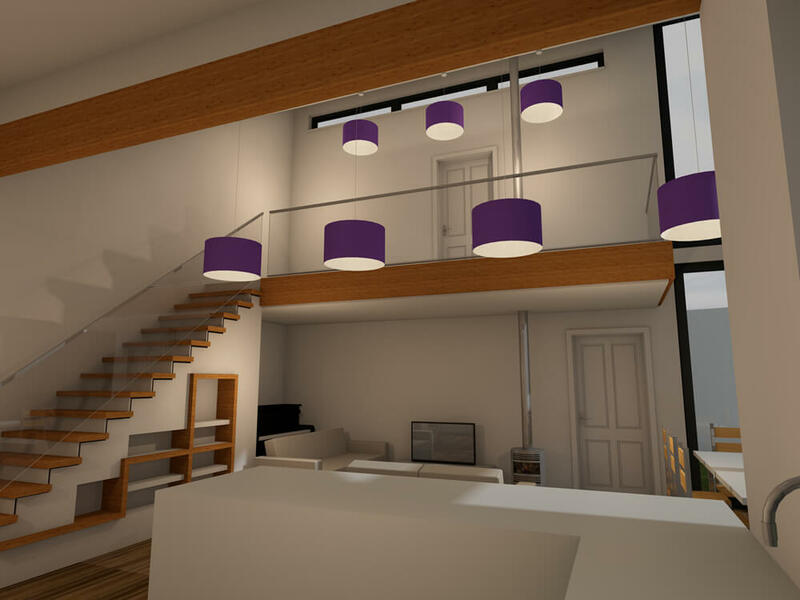 The 3 bedrooms are accessed from the central space, giving a great flow to the reduced floor plan. The facades that front the beach all have large full height windows with feature timber louvres. 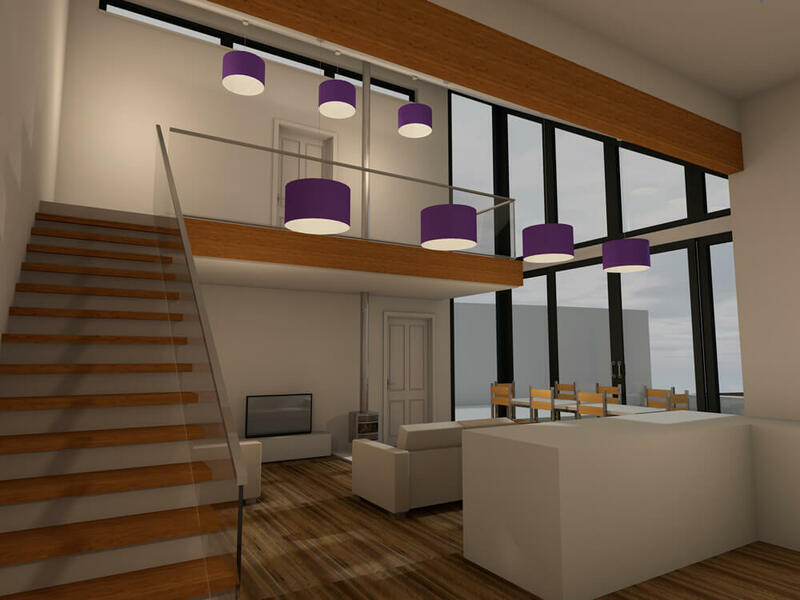 ACA worked on revising and improving the initial design in order to make it cost effective and buildable. 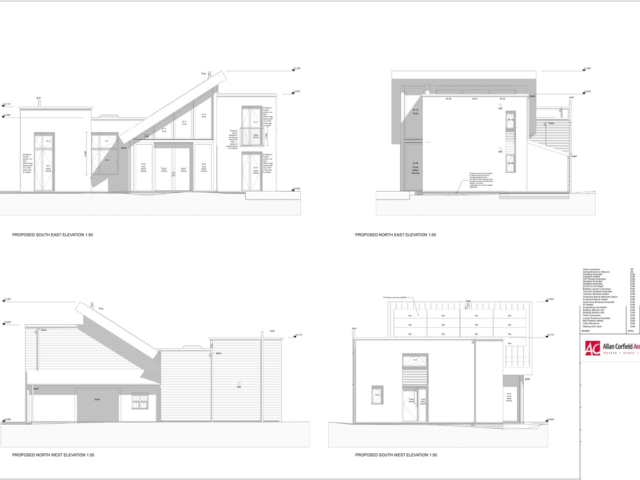 ACA took the eco house project through Building Control approval and completed a detailed construction set of working drawings. 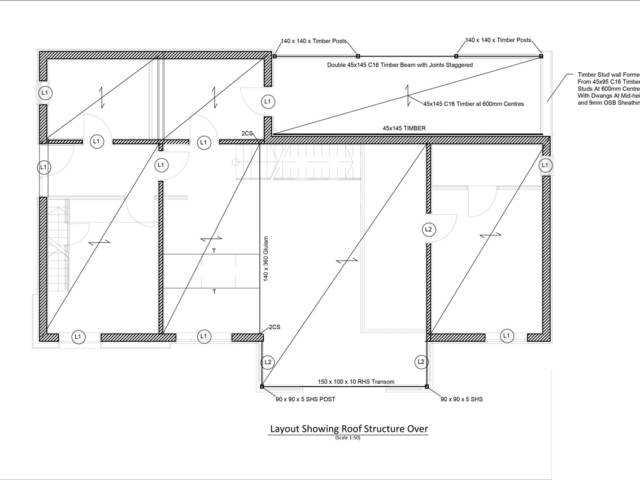 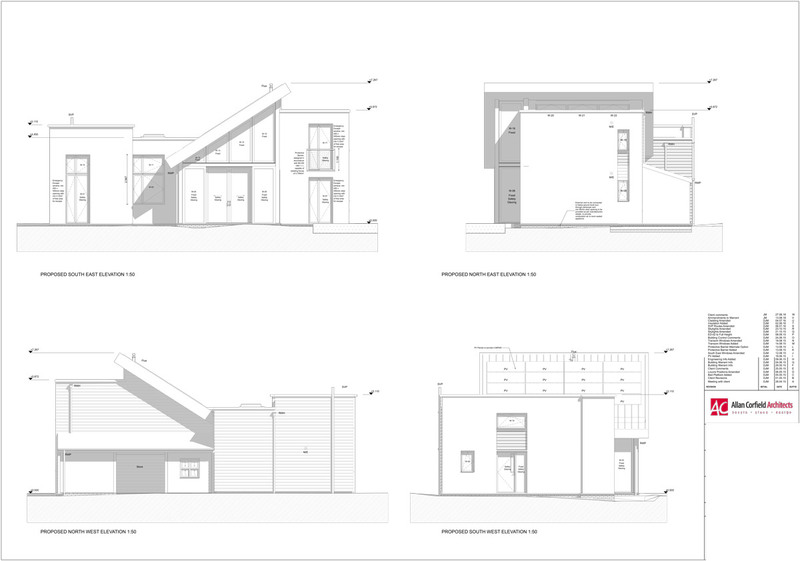 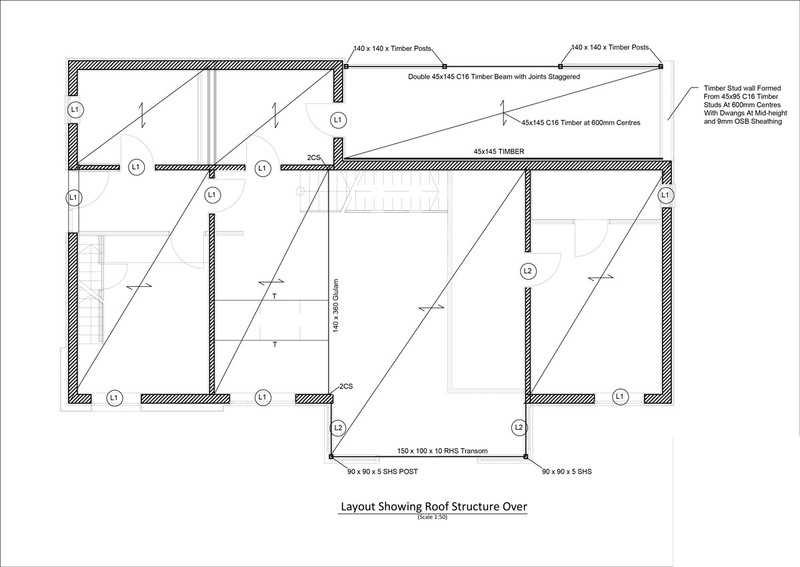 These detailed drawings allowed the client to manage the build as a Self Build project, aiming to get the overall build cost down to £1,100 per m2. 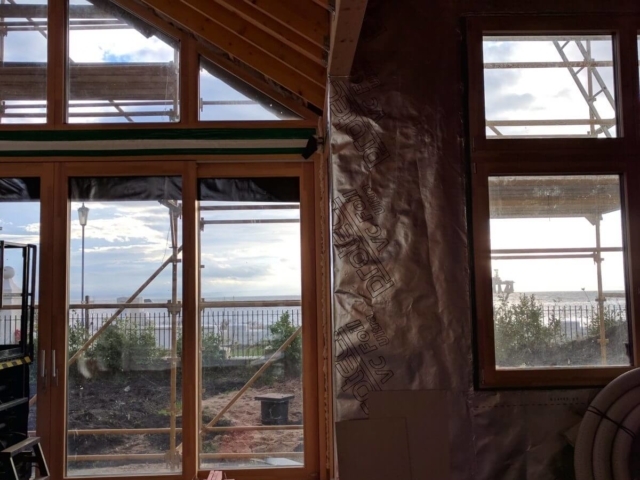 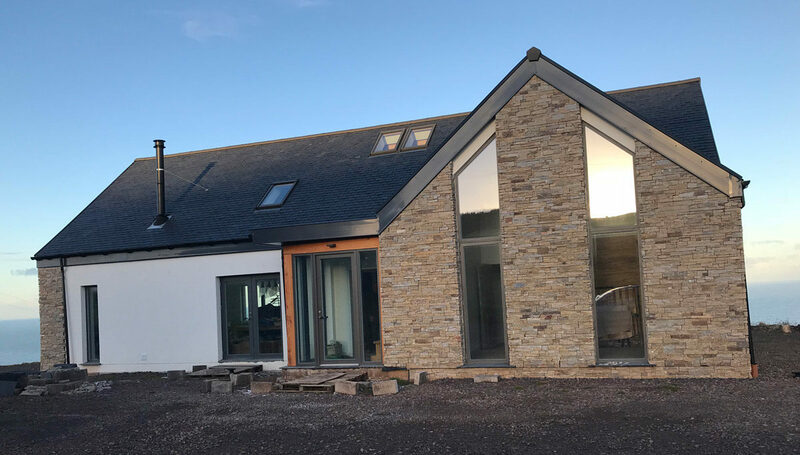 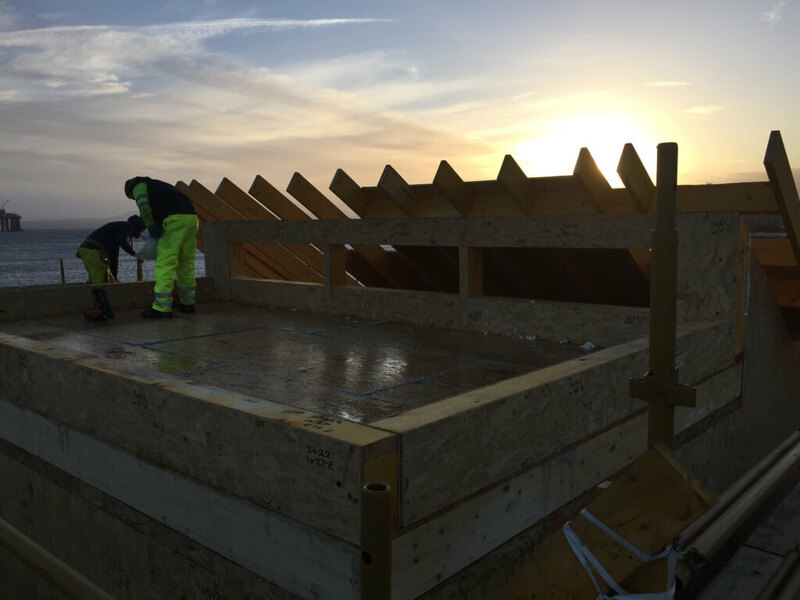 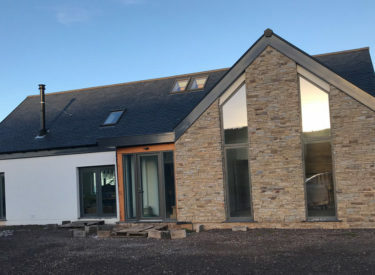 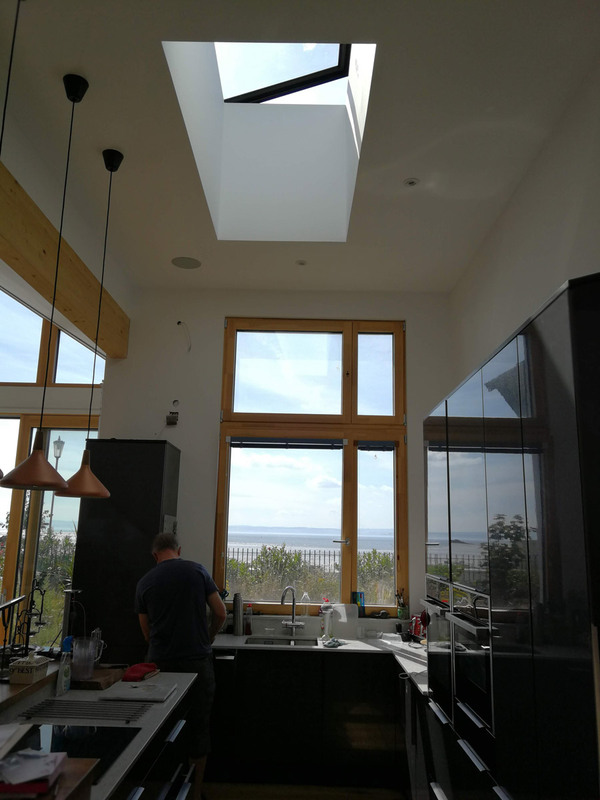 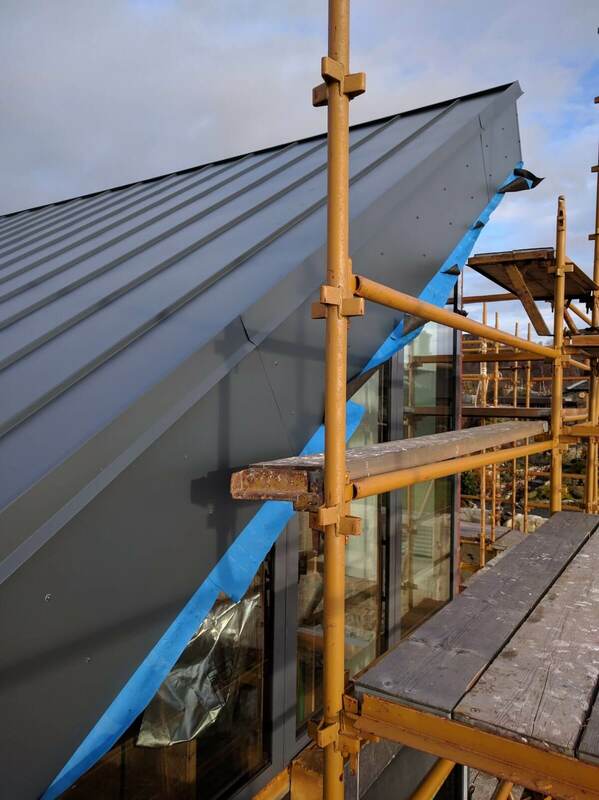 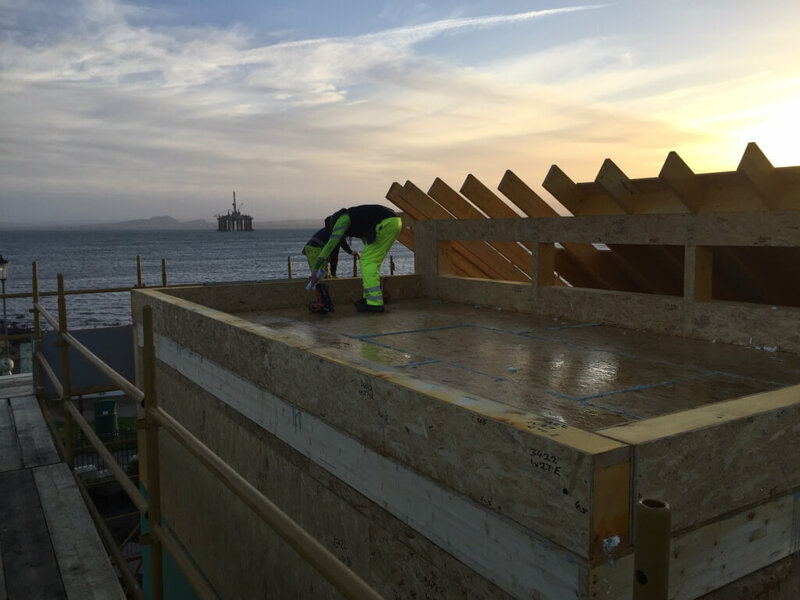 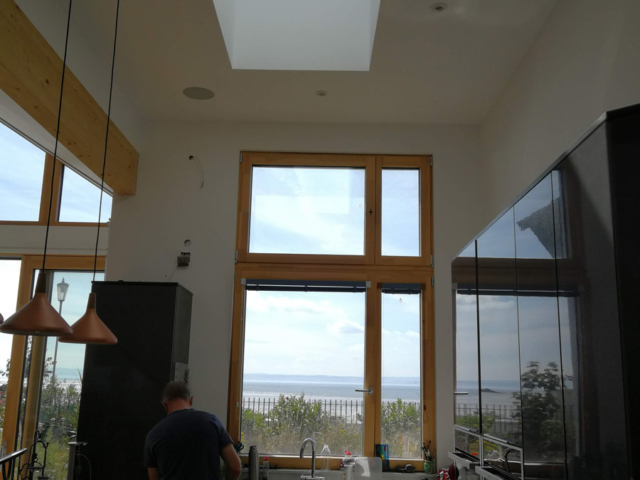 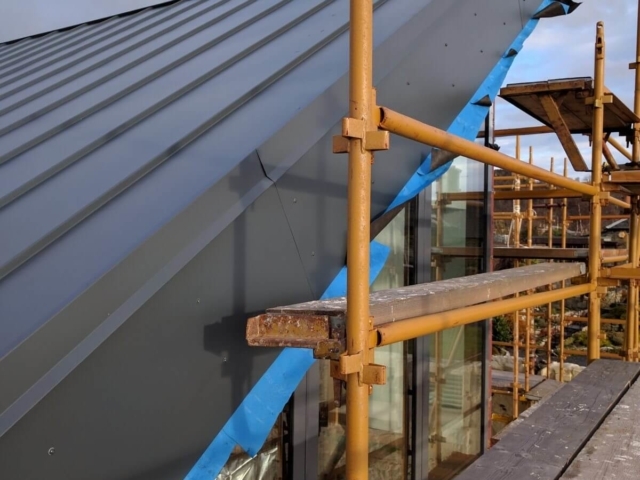 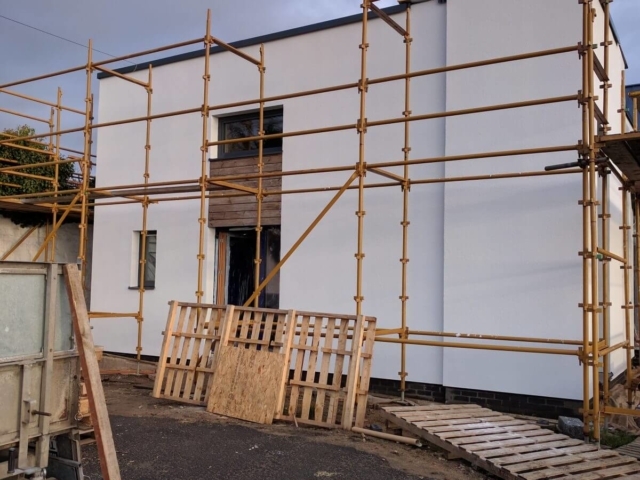 The additional external, higher spec roof lights and underfloor insulation were decisions made on site by the client which increased the overall build cost to £1600 m2. 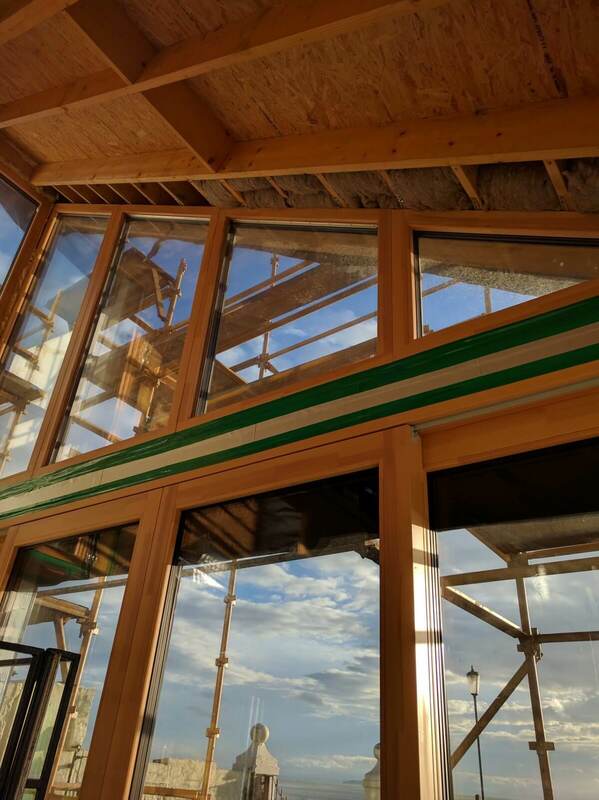 Following this, the estimated final SAP ratings are now 100 for energy and 107 for environmental impact. 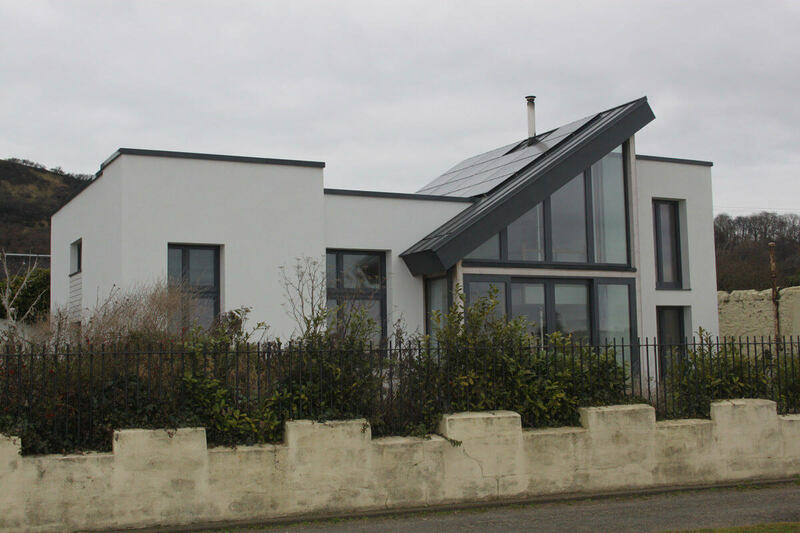 As both ratings theoretically score developments out of 100 this is quite an achievement. 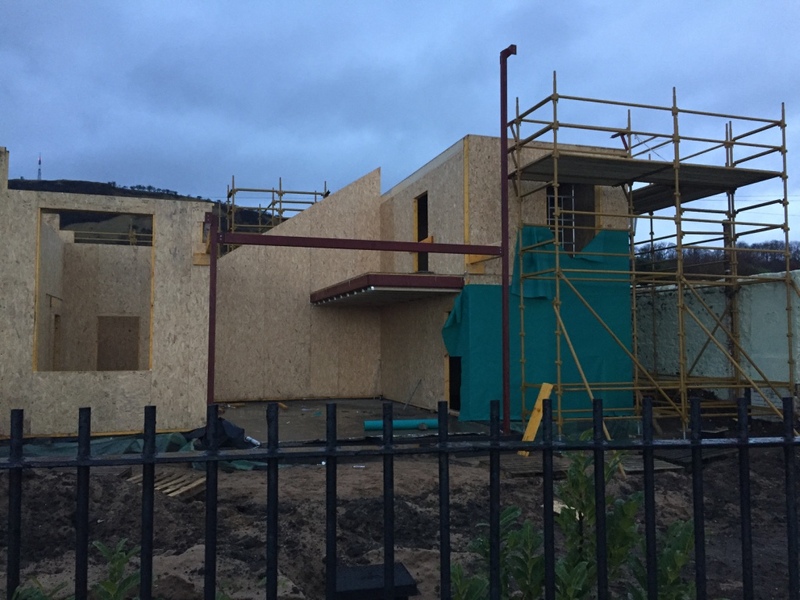 The foundations were started in August 2015, with the home being completed in late 2018.